So, here’s what I did with the leftovers from my Rosemary and Garlic Roast Beef. The obvious move is to pile these delicious leftovers on a sandwich. 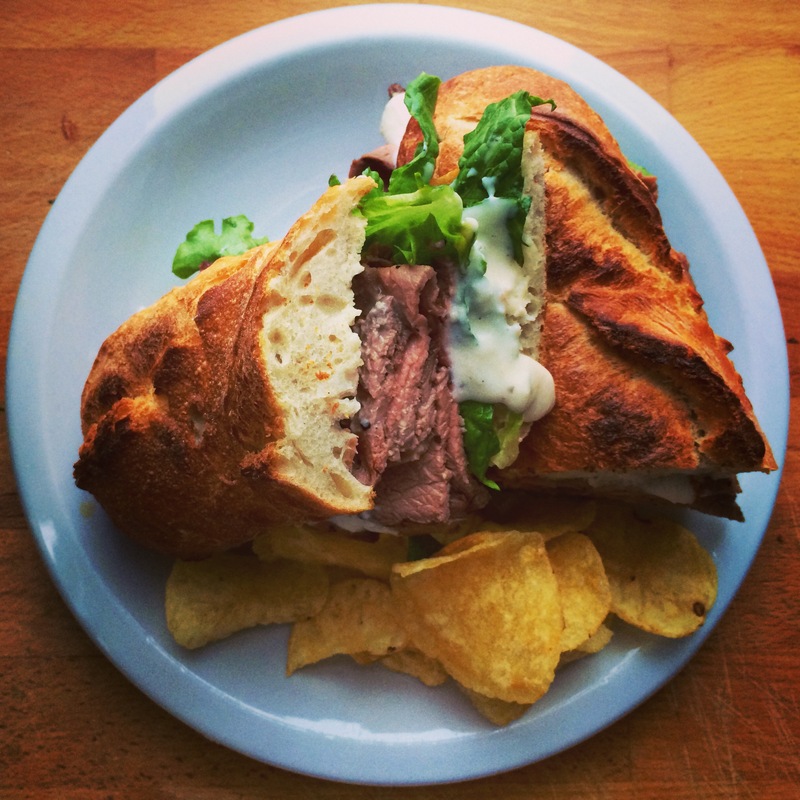 Just a few simple steps will give you this top notch deli style sandwich…right at home. 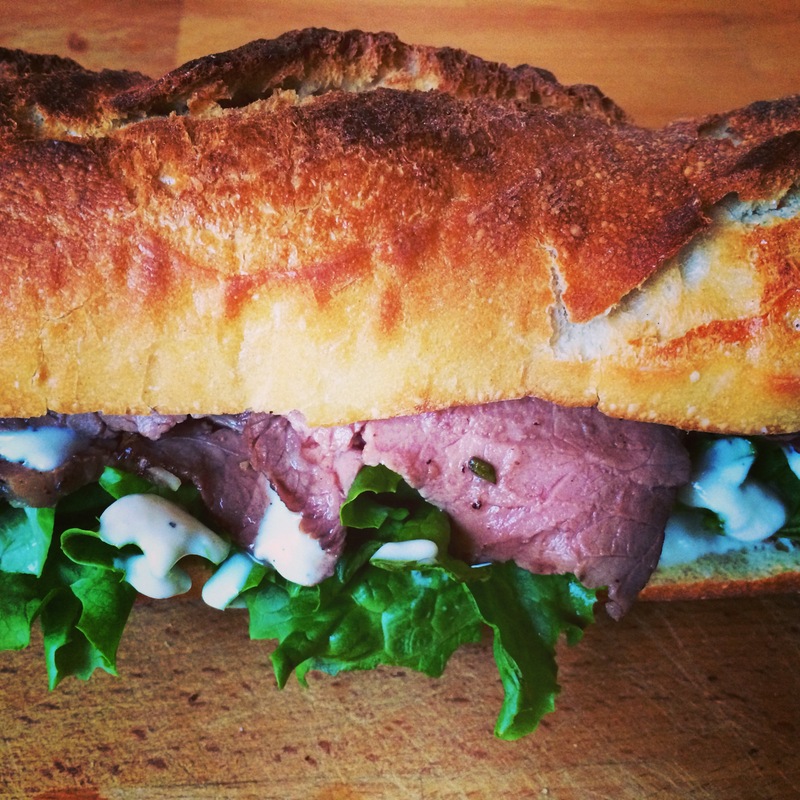 Roast beef, lettuce, and horseradish cream sauce placed beautify (yes, it’s a thing of beauty) between a toasted demi baguette. The horseradish cream sauce is thick, creamy, and spicy. Adjust the amount of horseradish in the recipe to suit your preference. I like mine to pack a punch! Add kettle chips and a pickle along side to complete the delicious home deli sandwich experience. Toast demi baguette, or your bread of choice. 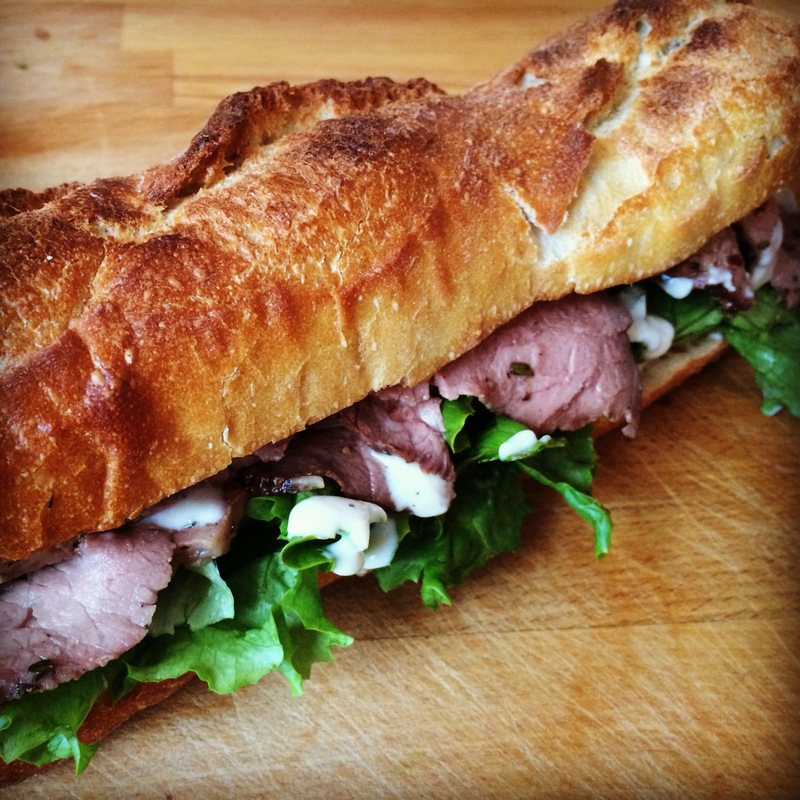 Slather bread with horseradish cream sauce, top with crisp lettuce, and thin slices of Rosemary and Garlic Roast Beef. Serve with extra horseradish cream sauce on side. Horseradish Cream Sauce: In a food processor or blender, combine 3/4 cup light sour cream, 1-2 tbsp prepared horseradish (depending on your taste, start with 1 tbsp and gradually add more), 1/2 tsp Dijon mustard, 1 tsp lemon juice, 1/2 tsp salt, freshly cracked black pepper. Pulse until well incorporated and smooth. Note: Horseradish cream sauce will last up to 3 days in your refrigerator.